Ashley Perez is our social media manager, screen reader, production manager, and other-hat-wearer. She lives, writes, and causes trouble in Los Angeles. 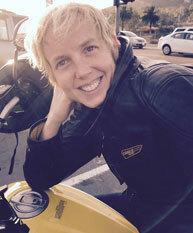 She holds an MFA in Creative Writing from Antioch University Los Angeles. She runs the literary site Arts Collide and does work of all varieties for The Rumpus, The Weeklings, and Midnight Breakfast. You can also find her on Twitter: @ArtsCollide. Email Ashley at: ashley [at] jadedibispress [dot] com. 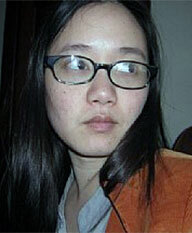 Lily Hoang is an editor for us and the author of four books, including Changing, recipient of a PEN Open Books Award. She has two novels forthcoming: Old Cat Lady (1913 Books, 2016) and The Book of Martha (Insert Blanc Press, 2017). Her collection of essays A Bestiary won the inaugural Cleveland State University Poetry Center’s Nonfiction Contest and is forthcoming in 2016. With Joshua Marie Wilkinson, she edited the anthology The Force of What’s Possible: Writers on Accessibility and the Avant-Garde. She teaches in the MFA program at New Mexico State University, where she is Associate Department Head and Prose Editor at Puerto del Sol. Email Lily at: lily [at] jadedibispress [dot] com. Elizabeth Earley is the one of the acquisitions editors for Jaded Ibis Press. She holds an MFA in Fiction from Antioch University Los Angeles. Her stories and essays have appeared in Hayden’s Ferry Review, The First Line Magazine, Fugue, Hair Trigger, and Glimmer Train among other publications. Elizabeth is the recipient of the David Friedman Memorial Prize for Fiction, has twice been a finalist for the AWP New Journals Award, has received two pushcart nominations, and was a finalist for the 2011 Bakeless Literary Prize for Fiction. Her debut novel, A Map of Everything, was a debut fiction finalist for the Lambda Literary Prize. Her new novel, Like Wings, Your Hands, forthcoming on October 15, 2019, won the Red Hen Press Women’s Prose Prize in 2017. Email Elizabeth at: elizabeth [at] jadedibispress [dot] com. 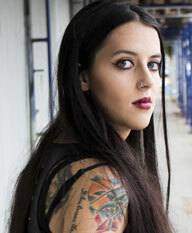 NAIMA YAEL TOKUNOW (neé Woods) is the editor of Scarlet, the literary blog of Jaded Ibis Press. 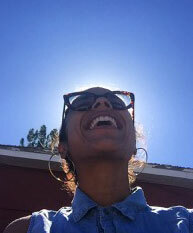 She is also an educator, writer and editor, currently living in the New Mexico. Her work and life focus around interrogating black femme identity, social justice and black futurity. She is the author of the chapbook, MAKE WITNESS, published in 2016 by Zoo Cake Press. She is a three-time Pushcart Prize nominee, a TENT Residency Fellow & has attended The Home School workshop. She proudly edits the Black Voice Series for Puerto del Sol and is a poetry reader for Nat. Brut. New work is published or forthcoming from Bone Bouquet, The Shade Journal, Bayou Magazine, DIAGRAM, and others. She is blessed to be black and alive. Email Naima at: scarlet [at] jadedibispress [dot] com.